By Amanda Carmichael November 14, 2018 Industry News & Updates, Uncategorised, What's new from the MRBTA? 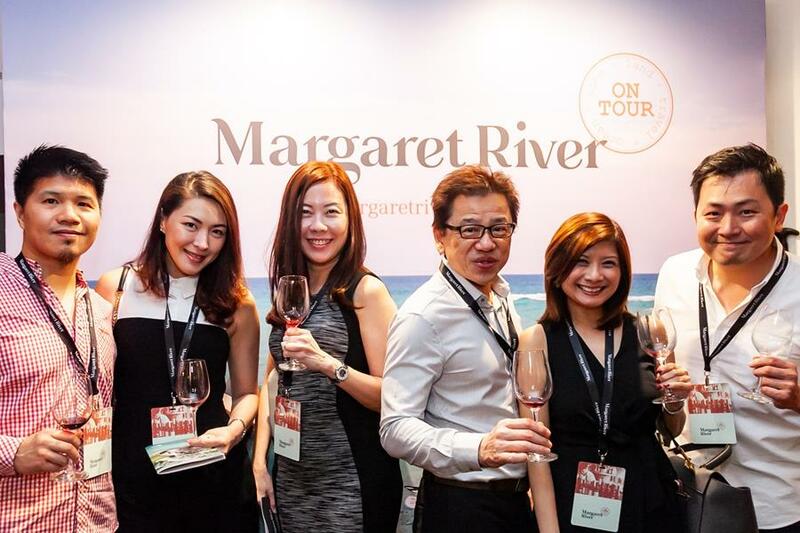 Thank you to everyone who joined Margaret River On Tour in Singapore, whether it was in person or in spirit. We had 35 businesses descend on the island city for a week long series of events which included one showcase, seven satellite and five fringe events. The event series wouldn’t have been possible without the enthusiasm of everyone who took part so a big congratulations to the Margaret River On Tour team. The showcase event, Margaret River: Seasons on the Hill was attended by 320 consumers and 150 VIP, Trade and Media. You can watch the highlight video here. This is the first time the region has seen this degree of collaboration in its marketing efforts, which is of increasing importance as the region strives to attract international visitation, particularly from Singapore. 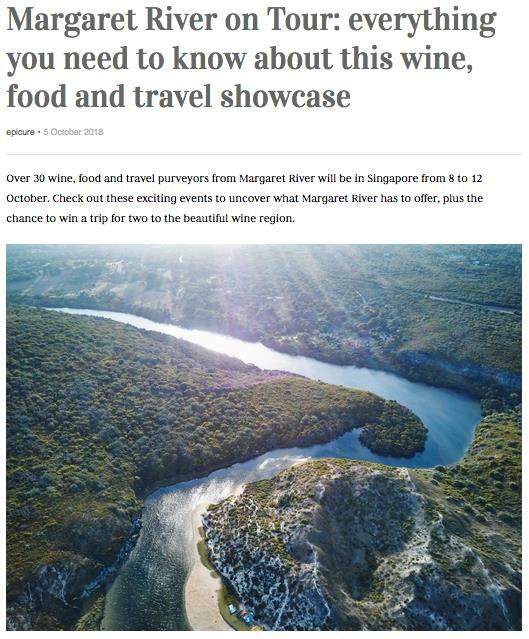 The event series was supported by the Australian Government’s $50 million Export and Regional Wine Support Package after a collaborative application was made by the MRBTA, SWDC, ASW and MRWA. The program will also see the development of content marketing assets, a famils program and digital campaign to help grow visitation from Singapore and SE Asia to the region. Below is the first wrap up of media coverage, digital campaign figures & attendee feedback. 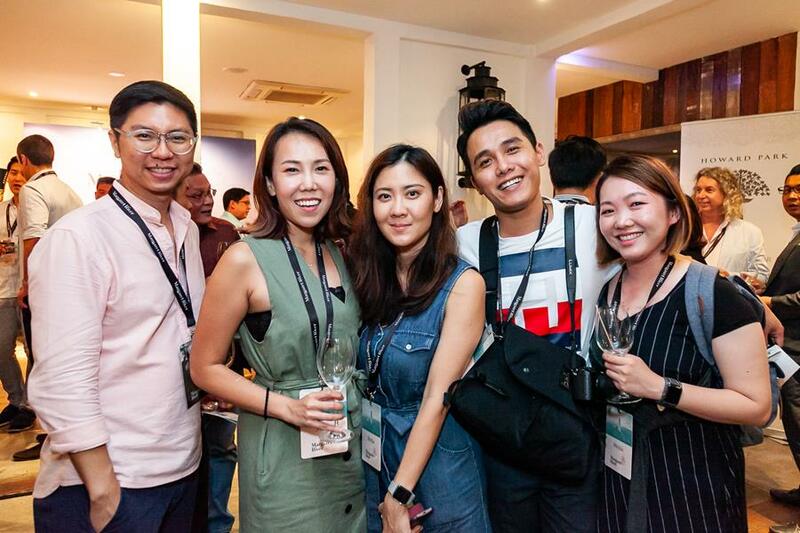 The week-long series of events generated over $100,000 worth of media coverage in Singapore during September and October and we are expecting additional editorial pieces to follow. We surveyed showcase event attendees and the feedback was overwhelmingly positive. 97% of attendees said they were more likely to visit the Margaret River region after attending the event. 90% said they would join Margaret River On Tour again next year.